Clearwater Seafood's home page is here: www.clearwater.ca You can even order a lobster dinner on-line! 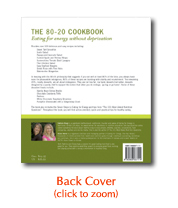 Patricia Chuey and Diana Steele are the authors of The 80-20 Cookbook, Eating for Energy Without Deprivation. 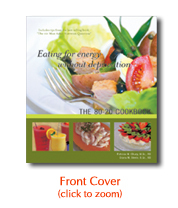 It has some great recipes and some of the travel tips Patricia talked about. The book can be ordered on-line at www.eatingforenergy.com and is also available for sale in all SaveOnFoods and Overwaitea Foods stores in BC and Alberta. It costs $25. The Burger King Whopper and Chicken Sandwich, without the buns, were $3.39 and $3.49 respectively, and claim to contain 5 grams of carbs or less. The McDonald's beef and chicken protein platters were $3.99 and $4.69, also with 5 grams of carbs. Prices may vary by region. For more information on these items you can visit the websites of the chains. We also tried 4 different kinds of low-carb beer, but none of them had any flavour or body that would make us recommend them. Sorry! Kids and Obesity - I talk with an instructor and some students on how they're fighting the growing trend of overweight schoolchildren. Why have these nuggets of lard and flour become the darling of the media every time a new store opens?